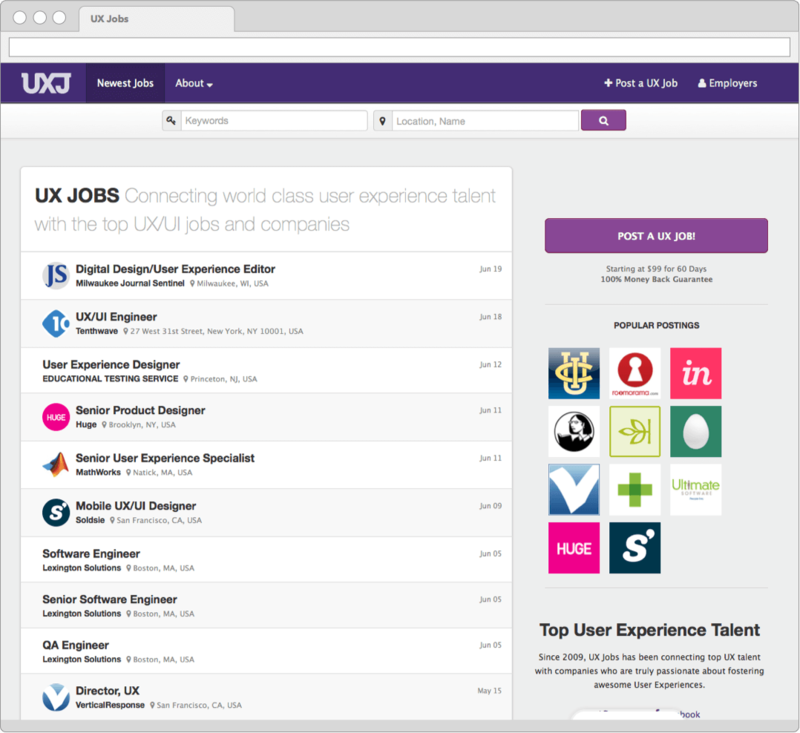 2010's: WHY ARE THERE NO GOOD UX, UI, DESIGN JOB BOARDS!? As a UX developer at the time, I found it insane there was no good job board that focused on UX and the likes. But we did see the rise of SimplyHired and Indeed who started nipping at the toes of the big boards like Monster, CareerBuilder and Dice. I then saw that SimplyHired offered a platform run your Job Board (where they took 50% for each posting). While limiting, I was able to create an MVP and test it on my UX focused Twitter network. After sharing UX Jobs with my twitter followers, traffic quickly grew. Bigger name companies started posting jobs, and the revenues increased. However, with anything that makes money, I started looking at how I can make MORE MONIES! Doing the math, it was clear - if I build my own job board and keep 100% of the revenue I'll bring in some good cash - and that's exactly what I did. I spent the next 3 months using Laravel, MongoDB, SimplyHires & Indeeds jobfeed, and Stripe to create my own self hosted job board. Once launched I was bringing in companies like Apple, Adobe, LinkedIn, Ancestory,com etc. Times were good. The problem with hyper-niche job boards is the lack of real job postings. At its peak UXJobs would bring in around 50 job postings a month, but in order to have customers keep coming back, you need WAY more than that. So work around this problem I used SimplyHires Job Feed API to back fill UXJobs with external job postings. Using some SEO black magic, I was able to turn this into a SEO jaughernaught that continually kept UXJObs at the top of Google. Then SimplyHired changed.